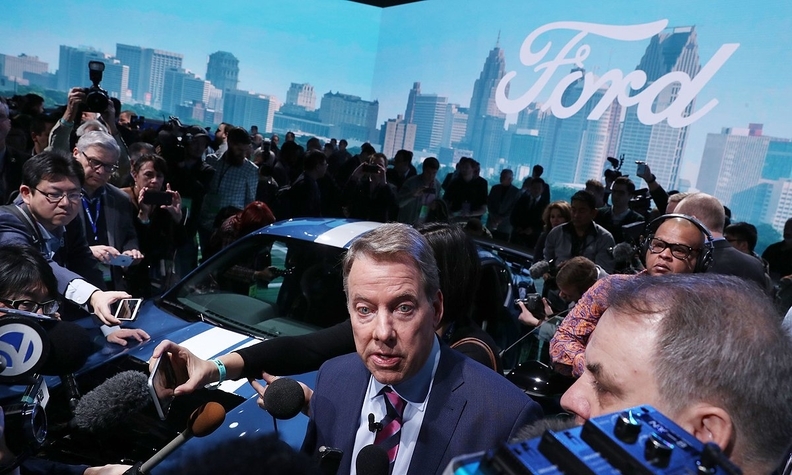 Bill Ford, pictured at the Detroit auto show on Monday, told Automotive News: "We have to be confident when we do this with Volkswagen that if we enter into an alliance that we feel that will be true." DETROIT -- Volkswagen Group's reputation in the wake of its high-profile diesel emissions scandal is "of course" a concern in any partnership with the German automaker, Ford Executive Chairman Bill Ford said Monday. The two automakers, which will host a conference call Tuesday morning to further detail their partnership, have been talking about a potential alliance since June. "There's nothing more important to me than the reputation of Ford Motor Co.," the great-grandson of Henry Ford told Automotive News on the sidelines of the Detroit auto show. The issue of reputation "was probably the first question I asked our team and continue to ask our team." Ford said he's encouraged by Volkswagen's new management team and the steps it has taken following the scandal. "They're committed to very high integrity, and so that makes me feel really good," he said. Ford Motor and VW are exploring a number of partnerships in commercial vehicles, midsize pickups and potentially autonomous and electric vehicle development. Bill Ford said the companies were still in "final discussions" Monday. He has said both sides are a good fit culturally. "I think we know each other well," he said in the interview Monday morning. "As our product teams have been spending time together, they're finding that, in terms of how we think about developing the product, that it fits well." He noted the companies have partnered together before, such as with Autolatina, a joint venture in Brazil, from which he said they learned a lot. "Relationships are really hard," Ford said. "There's often a presumption when you go into a joint venture that you're going to save money, you're going to save time, and you're going to save management effort. That's all true if it's a good relationship. If it's not, you do more of each of those. "We have to be confident when we do this with Volkswagen that if we enter into an alliance that we feel that will be true."